Fully illustrated. 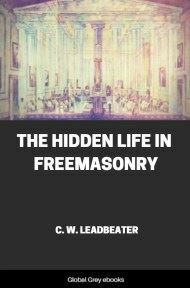 Chapters include: The Lodge; The Fittings Of The Lodge; Preliminary Ceremonies; The Opening Of The Lodge; Initiation; The Second Degree; The Third Degree; The Higher Degrees; Two Wonderful Rituals; and, Closing The Lodge. That the rituals and symbols should have been preserved to us with so wonderfully little altera¬tion is surely a marvellous thing; it would be inexplicable but for the fact that the Great Powers behind evolution have taken an interest in the matter, and gradually brought people back to the true lines when they had swerved somewhat away from them. This business was always in the hands of the Chohan of the Seventh Ray, for that is the ray most especially connected with ceremonial of all kinds, and its Head was always the supreme Hierophant of the Mysteries of ancient Egypt. The present holder of that office is that Master of the Wisdom of whom we often speak as the Comte de S. Germain, because He appeared under that title in the eighteenth century. He is also sometimes called Prince Rakoczi, as He is the last survivor of that royal house. 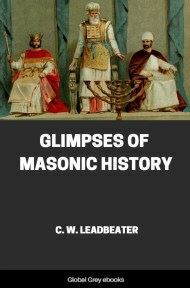 Exactly when He was appointed to the Headship of the Ceremonial Ray I do not know, but He took a keen interest in Freemasonry as early as the third century A.D.
We find him at that period as Albanus, a man of noble Roman family, born at the town of Verulam in England. As a young man he went to Rome, joined the army there, and achieved considerable distinction in it. He served in Rome for some seven years at any rate, perhaps longer than that. 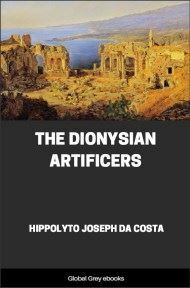 It was there that he was initiated into Freemasonry, and also became a proficient in the Mithraic Mysteries, which were so closely associated with it. After this time in Rome he returned to his birth¬place in England, and was appointed governor of the fortress there. He also held the position of “the Master of the Works”, whatever that may have meant; he certainly superintended the repairs and the general work in the fortress at Verulam, and he was at the same time the Imperial Paymaster. 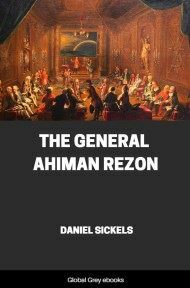 The story goes that the workmen were treated as slaves and wretchedly paid, but that S. Alban (as he was afterwards called) introduced Freemasonry and changed all that, securing for them better wages and greatly improved conditions generally. Many of our Brn. must have heard of the Watson MS of 1687. In that a good deal is said about S. Albans work for the Craft, and it is specially mentioned that he brought from France certain ancient charges which are practically identical with those in use at the present time. He was beheaded in the persecu¬tion by the Emperor Diocletian in the year 303, and the great abbey of S. Alban was built over his remains some five hundred years later. In the year 411 he was born in Constantinople and received the name of Proclus - a name which in after life he was destined to make famous. He was one of the last great exponents of Neo-Platonism, and his influence overshadowed to a great extent the medieval Christian Church. After that there is a gap in his list of incarnations, as to which at present we know nothing. We find him reborn in the year 1211, and in that life he was Roger Bacon, a Franciscan friar, who was a reformer both of the theology and the science of his day. In 1375 came his birth as Christian Rosenkreutz. That also was an incarnation of considerable importance, for in it he founded the secret society of the Rosicrucians. He seems some fifty years later, or a little more than that, to have used the body of Hunyadi Janos, an eminent Hungarian soldier and leader. Also we are told that about 1500 he had a life as the monk Robertus, somewhere in middle Europe. We know practically nothing about that, as to what he did or in what way he distinguished himself. A century later we are told that he took birth as Jozsef Rakoczi, a prince of Transylvania. We find him mentioned in the encyclopedias, but not much information is given. After that considerable mys¬tery surrounds his movements. He seems to have travelled about Europe, and he turns up at intervals, but we have little definite knowledge about him. He was the Comte de S. Germain at the time of the French Revolution, and worked much with Madame Blavatsky, who was at that period in incarnation under the name of Père Joseph. He also appears to have disguised himself as Baron Hompesch, who was the last of the Knights of St. John of Malta, the man who arranged the transfer of the island of Malta to the English. This great saint and teacher still lives, and His present body has no appearance of great age. I myself met Him physically in Rome in 1901, and had a long con¬versation with Him. In Co-Masonry we refer to Him as the Head of all True Freemasons throughout the world (abbreviated as the H.O.A.T.F.) and in some of our Lodges His portrait is placed in the east, above the chair of the R.W.M., and just beneath the Star of Initiation; others place it in the north, above an empty chair. Upon His recognition and assent as Head of the Seventh Ray the validity of all rites and degrees depends. He often selects pupils from among the Brn. 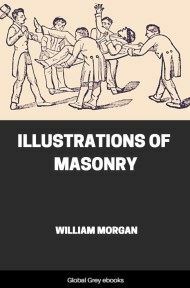 of the Masonic Order, and prepares those who have fitted themselves in the lower mysteries of Masonry for the true Mysteries of the Great White Lodge, of which our Masonic initiations, splendid though they be, are but faint reflections, for Masonry has ever been one of the gates through which that White Lodge might be reached. 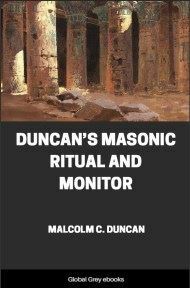 Today but few of His Masons acknowledge Him as their Sovereign Grand Master, yet the possibility of such discipleship has ever been recognized in the traditions of the Order.